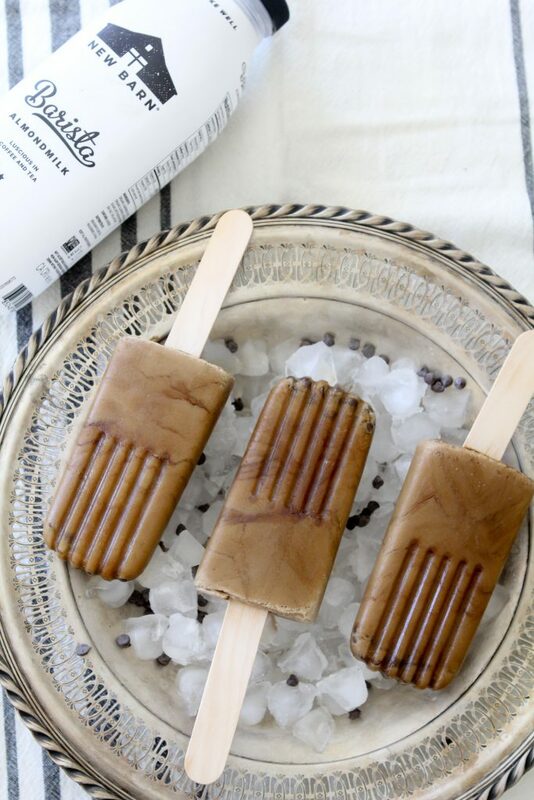 These Dairy-Free Espresso Chip Ice Pops from The Whole Smiths are brought to you in partnership with New Barn Organic Almondmilk. 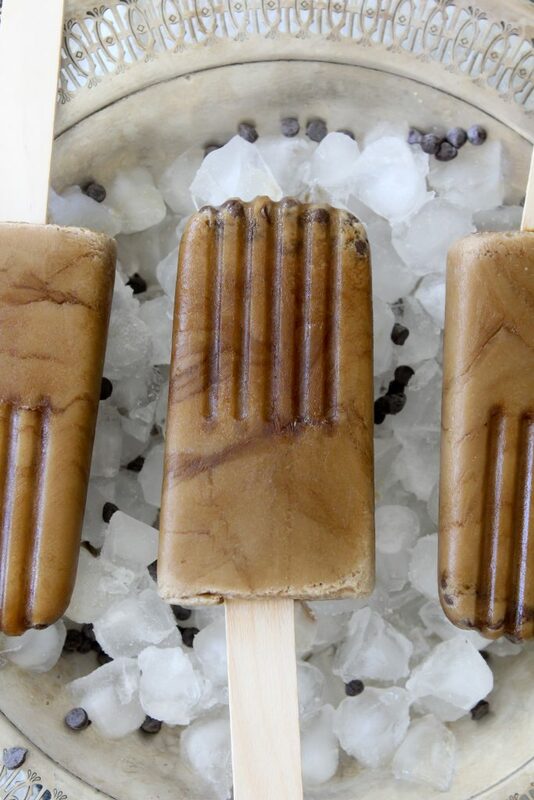 Not only are these refreshing ice pops dairy-free but paleo. 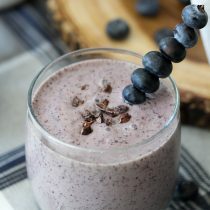 It’s a summer treat you can feel good about enjoying! I have a confession for you and I hope after I share it you continue to respect me and love me the way you always have. You ready? Ok, sigh, here it is. It wasn’t until my 20’s that I learned “espresso” wasn’t “expresso”. Yep. There you have it. An educated woman that grew up in the progressive San Francisco Bay Area that made it through college saying “expresso” and being oblivious to every other sign around me that said otherwise. I also wonder why no one ever bothered to correct me. Did they not realize I was saying “expresso”? Or did they think it was cute and could’t bother to correct me? Kind of like the way Camryn says vinegar… “vignar”. Maybe they just laughed and laughed and I was oblivious to that too? Perhaps I indulged in a little too much California “green fun” and they DID tell me and I just didn’t know what they were talking about because they were stoned and had no idea what they were saying? Despite mispronouncing it all of these years, I really do love the flavor of ESPRESSO. The fact that I typically drink decaf doesn’t mean I don’t love the flavor of coffee or anything coffee flavored. I drink a one of my Whole30 Lattes to kick off most mornings and I love coffee ice cream. 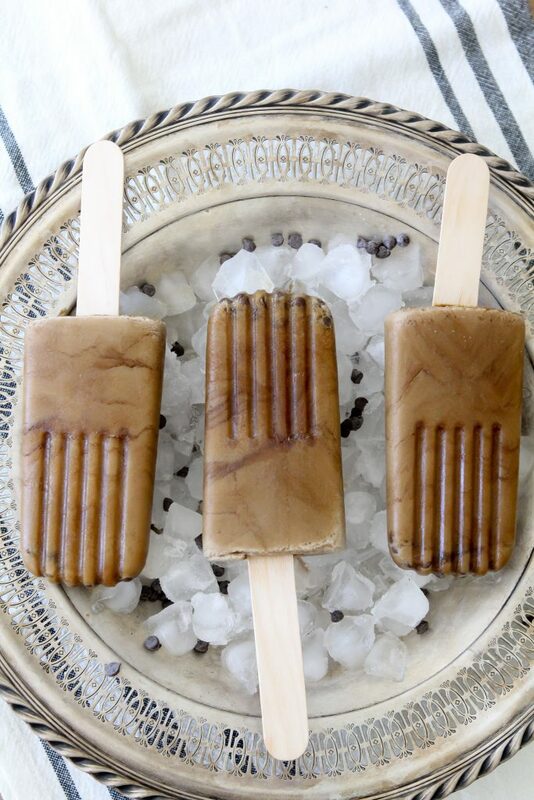 So when I had the chance to create a fun summer treat using New Barn Barista blend, Espresso Ice Pops it was. I love ice pops, even as grown up. Fun fact, did you know I can’t call these popsicles because Popsicle is actually a brand? It’s like Q-Tip versus cotton swabs. Ziplock versus zip-top bags. So because I very much like my bank account in tact, these are ice pops. You catch my drift. 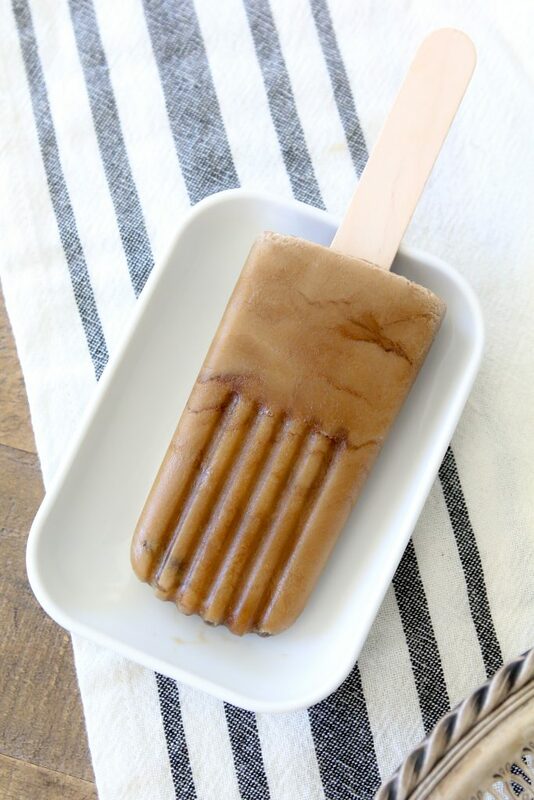 These ice pops are also super clean thanks to using my New Barn Organic Barista blend. 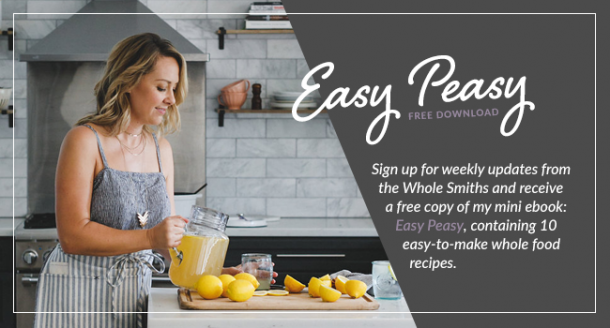 This luscious almond milk is free of fillers, artificial additives and is as clean as you can get. There is a bit of sugar in it but I’m ok with that especially since I don’t typically even use the recommended serving size. And this is a treat, not an every day thing so I am happy to indulge a bit. 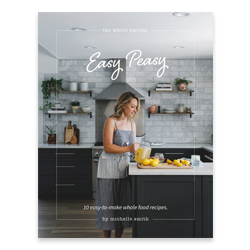 Especially when the rest of the ingredients are so clean, I don’t sweat it. 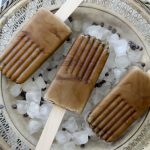 When I made these popsicle ice pops, I really wanted the espresso flavor to come through. I tested it using coffee and some cold brew and while it worked, I found the best consistency to be when I used an instant espresso powder and dissolved it directly into the New Barn Barista blend. As far as making the ice pops, I froze mine in layers so I could have the mini chocolate chips throughout the pop. If you add them all in at once, they are just going to sink to the bottom of the pops. So instead I froze them in two different stages. First I filled them up halfway, added the mini chips and froze them for about an hour. Then I pulled them out, added a few more chips and filled them up the rest of the way, added the stick and froze them overnight. Just note, if you use this method you also need to remember the ice pop stick. After the first freeze, the mix should still be soft (but firm enough to suspend the chips) so you can push the stick in still. Does this all make sense? Am I making this too complicated? I think you get it. 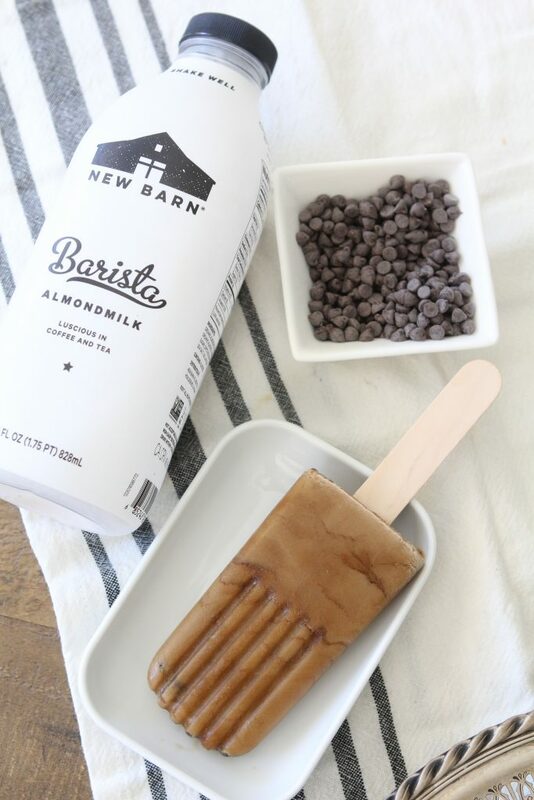 Enjoy this delicious grown-up ice pop and make sure to grab some New Barn Barista Almondmilk next time you’re at the store. 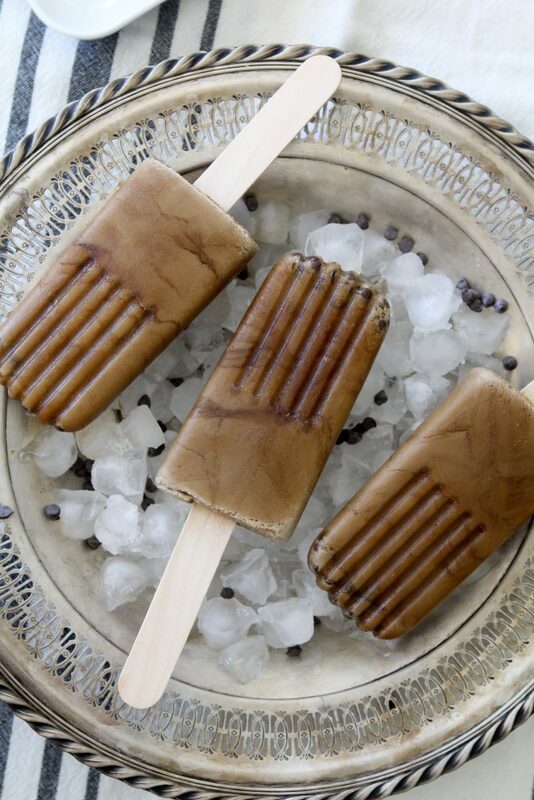 These Dairy-Free Espresso Chip Ice Pops from The Whole Smiths are brought to you in partnership with New Barn Organic AlmondMilk. Not only are these refreshing ice pops dairy-free but paleo. 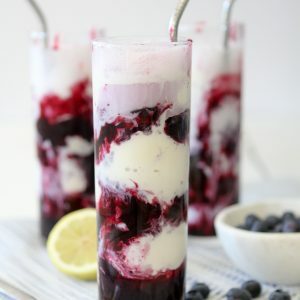 It's a summer treat you can feel good about enjoying! 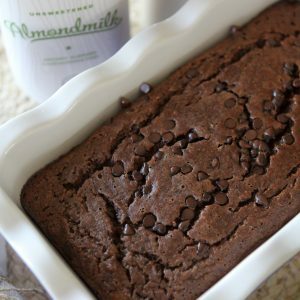 Add the almond milk, instant espresso and maple syrup to a large bowl and whisk until the espresso powder is dissolved. Fill your ice pop molds halfway up and add 1 teaspoon of the mini chips into each of the molds. Put the molds into the freezer for 1 hour and remove. 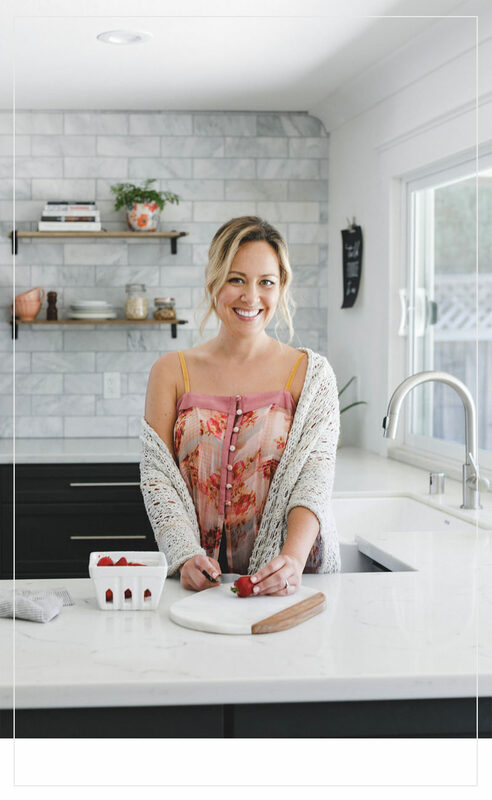 Add another teaspoon of mini chips to the ice pops and fill the mold to the top with the remaining almond milk mixture. Place the ice pop stick into the ice pop. Repeat for each ice pop and freeze for a minimum of 6 hours.